It's a real holiday, and to celebrate, we've rounded up some of Long Island's most exciting upcoming wine events. Sip-sip hooray! The Baker House is inviting you to stop and smell – well, drink - the rosé. On Saturday, March 10, this boutique inn will be offering a rosé tasting from 4 p.m. to 6 p.m. 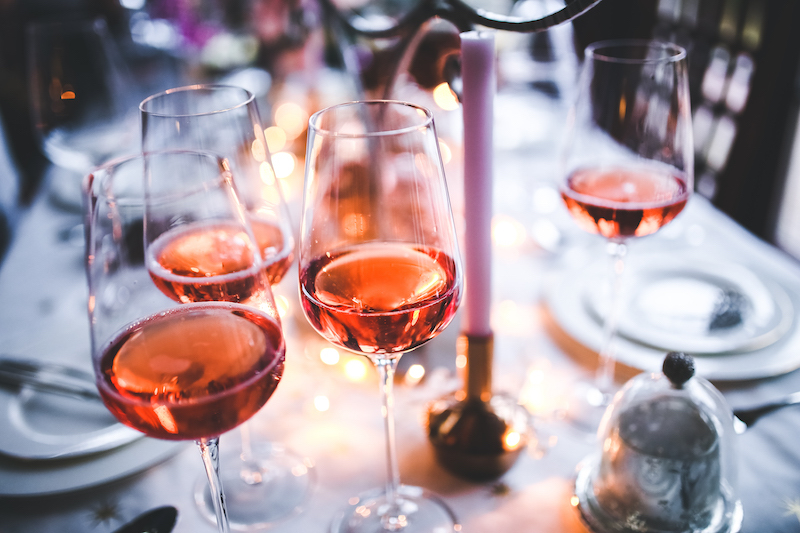 The evening will feature six different rosés guided by a representative from Domaine Select Wine and Spirits, as well as light snacks. Get your tickets here. The glass is definitely more than half-full during Almond’s five-course pig dinner featuring Macari Vineyards. On Thursday, February 22, visit this down-to-earth eatery to enjoy a scrumptious five-course whole pig dinner paired expertly with Macari wines. Reservations are highly recommended, so check out their menu here and call 6315375665 to book your seats today. Here’s one more reason to look forward to summer. Starting in May, Harmony Vineyards will be hosting their Friday night Drink-In Theatre. Enjoy movies, wine, and everything fine underneath the stars every Friday from 5 p.m. to midnight. The best part? Admission is free; just be sure to fill up on some of their delicious foods, wine and beer. Think while you drink at the Suffolk County Historical society. Join Eileen Duffy on Thursday, March 1 from 6 to 8 p.m. to learn about Long Island’s wine history with her book ‘Behind the Bottle: The Rise of Wine on Long Island’. The evening includes a book sale, signing, admission to current exhibits, and of course, wine and cheese. Reservations are recommended and can be made by calling (631) 727-288. Need something to brighten your winter? Don’t fear, Long Island Winter Fest is here. Created to promote and celebrate Long Island’s Wine Country, the kick-off party begins Friday, February 24 from 7 to 10 p.m. at Hotel Indigo East End in Riverhead. With exhibitors including Bedell Cellars, Long Island Spirits, Jamesport Vineyards, Wölffer Estate Vineyards and more, the question isn’t “wine”, it’s “wine-not?” Buy your tickets here. Wine a little, laugh a lot! That’s the spirit(s) every Friday night at Mirabelle Restaurant at the Three Village Inn. With a new menu crafted by Executive Chef Guy Reuge each week, enjoy seven courses served with wine pairings based on seasonal and locally sourced ingredients. Don’t forget the live music from 6 to 9 p.m! Check out the menu and call (631) 751-0555 for reservations.